See for yourself what these #1 New York Times-bestselling authors are talking about. Pretty Girls is the story of how one family was able to come together in a time that seemed impossible. Twenty years has passed since Claire and Lydia's teenage sister, Julia went missing and nothing is the same anymore, the two girls don't speak with other anymore until Claire's husband. Paul dies. With another young girl gone missing and with the knowledge that Claire gets after Paul dies by looking on his computer, nothing is what it seems. It all leads to secrets been reveled about Paul and who he truly was and two sisters finally coming together again. I LOVED this book, if you want a book that is hard to put down and grabs you from the first sentence to the very last word, this is it. The way that Karin makes the characters come to life makes you feel for them in a way I never have and it kinda makes you want another book just to get Lydia's side of the story and what she went through before this story started. 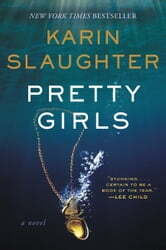 I never read Karin Slaughter's books before but I now feel the need to go read all that she has out!! Thank You to Karin Slaughter for writing a thriller that was way too hard to put down!! I received this book from the BookSparks 2015 Fall Reading Challenge in exchange for a honest review. This book is absolutely amazing, I thoroughly enjoyed every single page. It's rare to find a book that you can honestly say you didn't want to put down, but this one is exactly that. The characters, the story line, how it all comes together makes excellent reading. 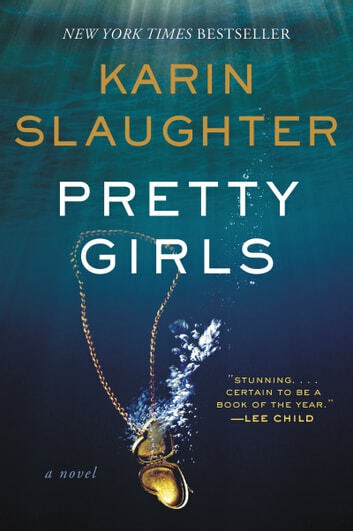 I've always been a Karin Slaughter fan, but she has totally outdone herself with this novel. Thank you. Wow!!! What a story! Kept me enthralled from the first word to the end! Characters that kept me going to the end. The story kept me thinking even after I put my reader down. BEST STORY KARIN HAS EVER WRITTEN! This book should have a graphic content warning! This book should have come with a warning as the graphic and violent material depicted throughout the story was very disturbing and traumatic to read. I was gripped by the mystery that unfolded, however, I did not need to read all the gruesome details, as I've had severe nightmares since. I would have not purchased this book had I known about this content beforehand. I am not someone who can not finish a story as it remains unresolved in my head and I need to know the ending, this resulted in me reading this whole book in one sitting completely horrified by what I was taking in. There are things I can't unsee now that have been very anxiety inducing and because of that I feel for some people this book is not suited. Just like in movies there should be a very clear warning in the description of the book on kobo's site! I wasn't sure how this story was going to play out. It kept turning around on itself and I had to read to the last page.